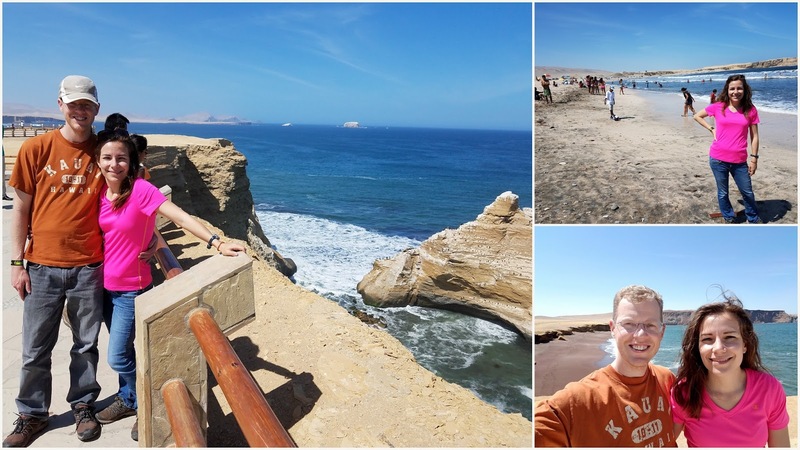 On April 14th we left Miraflores at 2:30 am to catch a 3:30 bus to Pisco and the Ballestral island located about 3.5-hour drive south from Lima. We were all exhausted and slept through the ride as there was nothing to see out of the window in the dark. We passed Pisco and were dropped off right in front of the dock where we looked for tour operators to take us to the Islands. 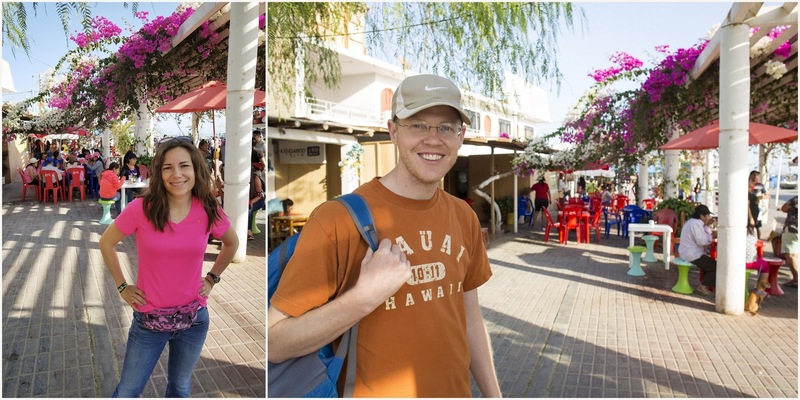 The government requires tourist to go with a tour operator, there are no public boats that travel to the Islands. The boat ride was fun. We road on a 30 passengers speedboat at an average speed of 30mph. We were on open ocean so we hit some bumpy waves that made the ride all that more exhilarating. On our way to the islands we stopped to see the candelabra, a picture resembling a cactus etched on the side of the hill. It is 60 meters wide, 170 meters long and 55 cm deep. The etching is done in sandstone and its protected by its location. From what we were told, it never rains in Paracas. The only erosion comes from strong ocean winds present during July and August. No one knows exactly how long it has been there or what it was created for. There are several theories as to how the candelabra came to be. One is that the original people of Paracas carved it in honor of a cactus drink their witch doctors gave to their patients before major surgeries as an analgesic. A second theory is that it was done in honor of St. Martin, a famous general who freed Peru from colonial oppression. St. Martin was a mason and the figure at the top of the candelabra resembles the Masonic eye. 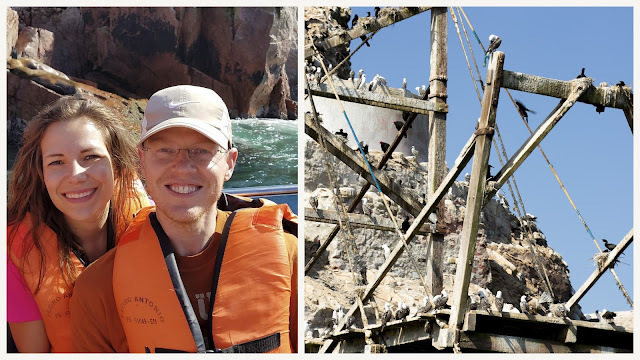 After passing the candelabra the boat took us to Guano Island. Guano is the Spanish word for bird droppings. There are several types of birds who inhabit the islands and their droppings tinge the rocks into gray and white. Guano has great value because of its use as a natural fertilizer. At one point, Paracas guano was in such high demand that a war was fought over it. Today, 250 scientist and workers arrive to the island every seven years to collect and study the guano. The last cleanup was in 2012. In addition to birds, the islands are a favorite of sea lions who lay in the rocks basking in the sun. The island has several natural arches and a small ’baby, beach where the mom care for the cubs. While riding back to the dock we were able to observe the ‘picador’ birds. They are known for the way they hunt fish. Picadores fly high, scanning the water for their pray. Once located they tuck their wings into their bodies and dive head first at really high speed making splashes of water as they enter the water. They are really fascinating to observe. Another bird we observed from the boat were pelicans. Beautiful large creatures, they glide barely above the water surface at speeds that matched our boat. The entrance to the nature reserve is approximately 10 minutes from the port. Our taxi driver took us on a tour of several famous lookout points. The first was the cathedral, a rock formation known for its shape. In 2007 Paracas was the epicenter of a very large earthquake which was felt all the way in Lima. The roads looked like waves and much was destroyed because of it, including the cathedral. The top of the arch fell into the water leaving only a rock column protruding from the water. Another famous sight in the reserve is Red Beach. It is a small section of beach where the sand is a bright red color because of the iron in the ground. There are several other beaches popular with Peruvians. 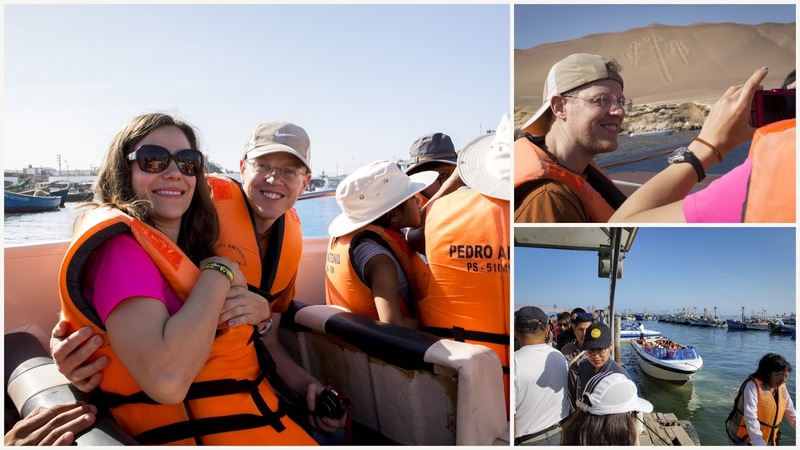 Many people travel to Paracas from Lima for the weekend and camp on the beaches overnight. They fish and cook their food on stone fire pits built on the sand. Once we were done with Paracas we took a taxi to the Pisco bus station where we caught a bus to Ica and then a taxi to Huacachina, another local famous destination. The 1.5-hour bus ride was miserable. There was no air conditioning and the seats were really close together. The cab ride was no better. We got into a small vehicle, barely a car and more like a sardine can. Drivers here don’t believe in air conditioning. They drive with their windows down to get air. Which is all well and good if you are moving, but the traffic into Huacachina was completely stopped. We lined up a dune buggy ride through the dunes for the four of us. The areneros, as the dune buggies are called here, seat 10 people plus a driver. After some running around trying to group people to fill each ride we were placed with a group of six other young adults from Argentina. Each seat had a V strap that bucked in between the legs. The straps didn’t tighten so there was significant slack in each seat. 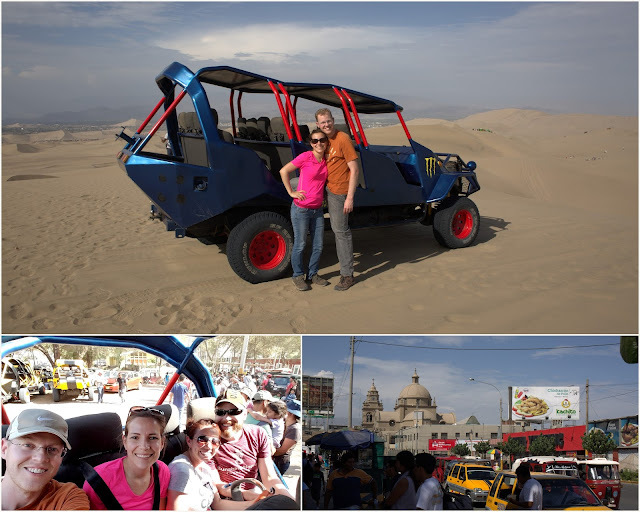 The driver took us into what felt like a roller coaster ride through the sand dunes. Up, down, steep turns, bumpy areas that jostled us and on a couple of occasions caused Claudia and my sunglasses to fly off from our faces. The best way I found to mitigate all of the shaking was to hold on to one strap with my left hand and grip the seat in front of me with my right. It did the job for the most part, although the strap still dug into my shoulder on occasion. After riding for 15 minutes our driver pulled up on the crest of a sand dune and handed us some wooden boards that resembled the shape of snowboards. In order to glide down, we each had to apply wax to the bottom of the board with a piece of candle. The ride down was fun and not scary. I chose to lay on my stomach, tuck in my arms and spread my legs wide to push myself down the sand hill. It’s a lot like snow sledding, except you are not bundled up and sand gets into every crevice of your body. Todd and I were able to do four runs before being met at the bottom by our driver. 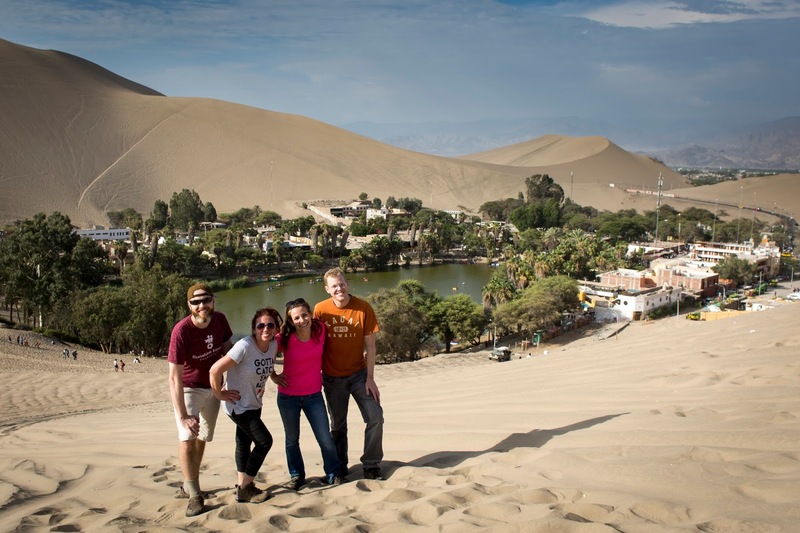 We rode for another crazy 10 minutes and stopped to take pictures in front of the Hucachina Oasis before returning to our starting point. By that point, we had not had breakfast or lunch and were running on fumes so we grabbed a hamburger at a local place. Their hamburger was more like a thin piece of meat with cucumber lettuce, tomatoes and straw fries, all between a bread roll. Not what we are used to, but we were all so hungry that we devoured it. Our return trip was by bus from Ica. 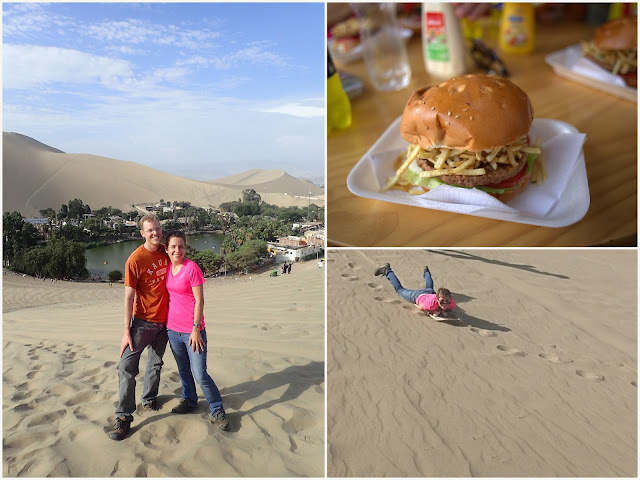 We caught a taxi in Huacachina to take us to the bus station. Our driver was crazy (in a good way). 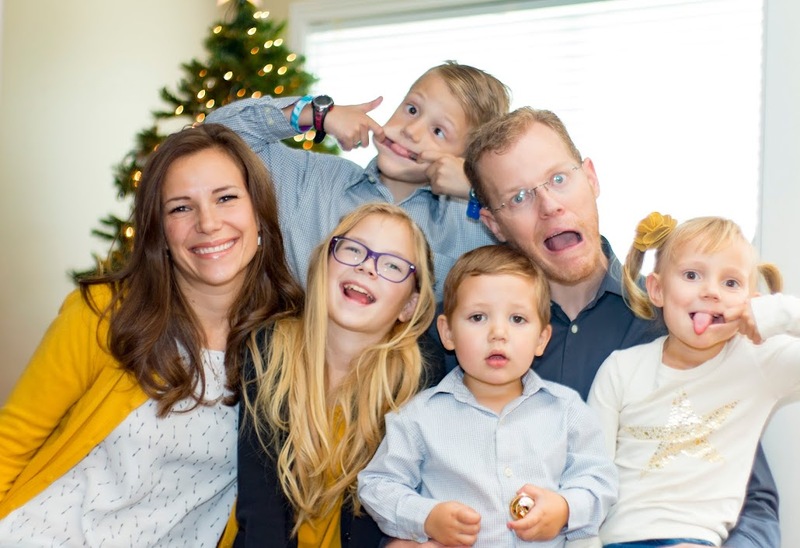 He would crack jokes about everything, singing and dancing along to the English music on the radio. We were all just laughing both at his eccentric personality and at what he was saying. Our ride home to Lima was supposed to be a direct trip that left at 6pm and arrived at 11:00 pm. No more than an hour into our ride we were stopped because of an accident that completely closed the road in our direction. We were stuck there for two hours before the bus was able to turn around and head back toward Pisco. Our bus took another, less direct, route to Lima. We finally arrived at the bus terminal at 2:30 am, three hours after our scheduled arrival time and almost 24 hours since we had left the terminal! We were back at Miraflores by 3:30 am which gave Jordan only one hour to pack his bags before leaving for the airport to travel home to Salt Lake City.